Simply the BEST option on the Market Today! ...the Spine-Creaser is that special! 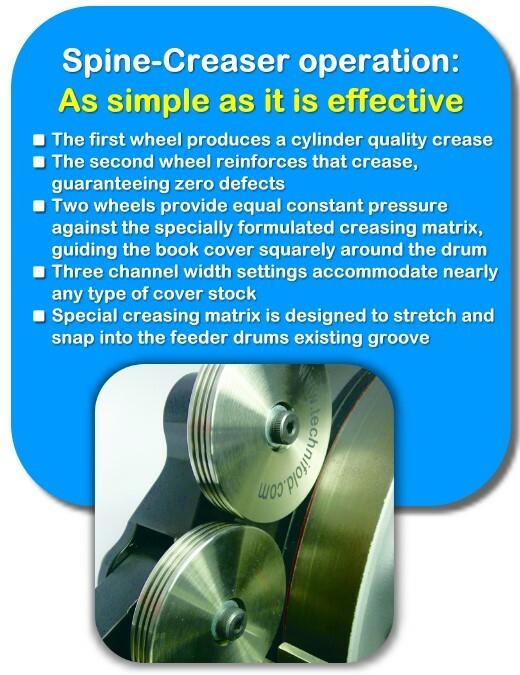 Using a set of allen keys, your operator only needs to remove the existing score wheel from the cover feeder, apply the creasing matrix to the drum and attach the new double-wheel Spine Creaser with a single bolt. 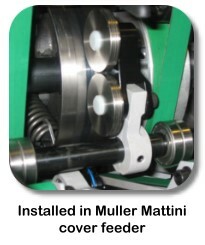 You are ready to begin producing a perfect crease on your saddle stitcher within 30 minutes of installation! Why should you try the Spine-Creaser? ....keep it all in your control! Faster delivery to your customers! 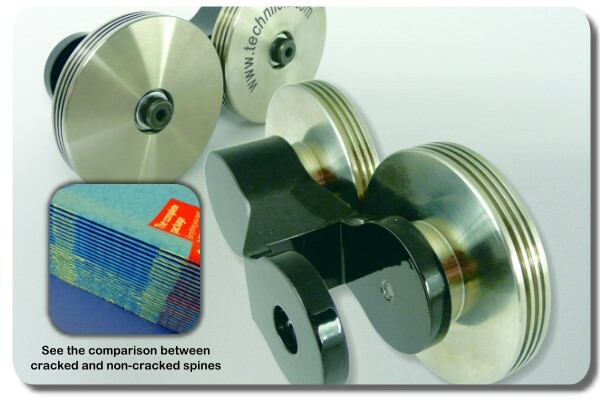 Which Saddle Stitchers can use the Spine Creaser? Heidelberg machines (including ST90, ST100, ST300, ST350, ST400, ST450 and Prosetter) Muller Martini, McCain, Harris, Macey, Sheridan, Osako, Horizon and Hohner. Check out these time saving tips from our Blog! !